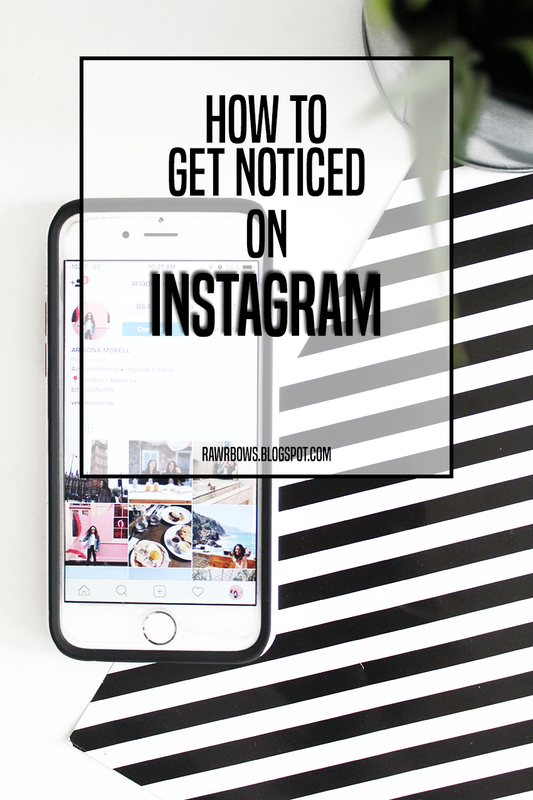 HOW TO GET NOTICED ON INSTAGRAM | RAWR BOWS. Oh, Instagram - we all love this little app so much. I remember when I posted my first picture, it was a heavily edited photo of a room number: the room I had lived in for two weeks in summer boarding school. Fast forward six years and now we all have themes, several apps to 'naturally' edit our photos that we have carefully taken making sure we look effortlessly fabulous. With so many accounts and great photos, it is hard to get noticed or to grow a following. And let's not even talk about keeping up with a theme. 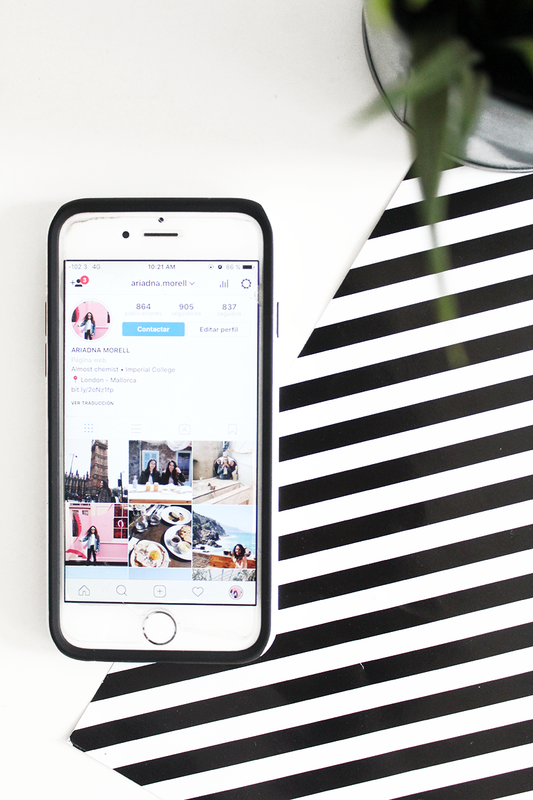 And whilst I am no Instagram expert and I most definitely am not Instagram famous, I have picked up a few tricks that can help you gain some followers and like with minimum effort. Let's start with followers. The easiest and less organic way of getting to the big numbers is buying followers, which I personally am not a fan of as the idea of paying to get your follower count up just sounds dumb to me. But to each their own. Personally I like to find cool people and follow them - this usually triggers some people to follow me back or other people who are in that niche to follow me too. Whilst, this is not going to get you thousands of followers, it takes minimum effort and you can also find some cool accounts! Another way of gaining followers is by using hashtags. I love hashtags, honestly. They allow you to be discovered by a lot of people and if you choose the right ones you can easily get featured in the 'top posts' for that hashtags, and therefore easily gaining likes as well as followers. I am planning on doing a separate post on which hashtags I use and all about hashtags basically. This is gonna sound very stupid but: follow people you know. If you know someone, either from school or because they're a friend's friend, and you follow them they are very very likely to follow you back. Unlike random people who have no idea about who you are and that are therefore less likely to hit that follow button, if that someone simply knows about you or has met you once I can assure you they'll most likely follow you too. Likes are far more easy to get than followers, because no one is going to unlike your photos (usually) but they might unfollow you later on. The most effective way in my experience is to use the right hashtags. They don't necessarily have to be the most popular ones, in fact, unless you're already big you might want to use less well-known hashtags so that your photo is visible for longer. For example, if you use the hashtag #wanderlust your photos is going to disappear from 'recent posts' pretty soon as A LOT of people use this hashtag. Also, because big accounts use it too it is going to be very hard to be featured on the 'top posts' section. You've probably heard it before: give and you shall receive. Well, Instagram is no different. If you like other people's photos you will probably also get some likes from them and maybe even a follow! Another way to get noticed and get likes is to comment on photos. This is more time consuming but it gets your name out there and if you comment something witty or interesting people are likely to click on your profile and stalk you for a bit - we are all stalkers at heart. Are you a big fan of Instagram? Let me know in the comments!